The energy of March is so high! First start of the year and the next day the first day of Uranus to change the sign of the bull in our lives will certainly bring certain effects. Mercury is like the naughty child of astrology. When he goes back he first brings technological problems. These problems will primarily bring our dreams, our subconscious, our fears, the water related issues to our agenda as it will move back in Pisces. Mercury back movements are always good to avoid new beginnings. Let’s focus on finishing old and incomplete subjects. Then we can see smooth and beautiful effects. Finally, let’s take a look at the planet Uranus before moving on to the horoscopes. Uranus entered the first bull sign in May 2018. He finally made his way to the sign of the coach and will now enter the sign of the bull. The coach is now completely finished. 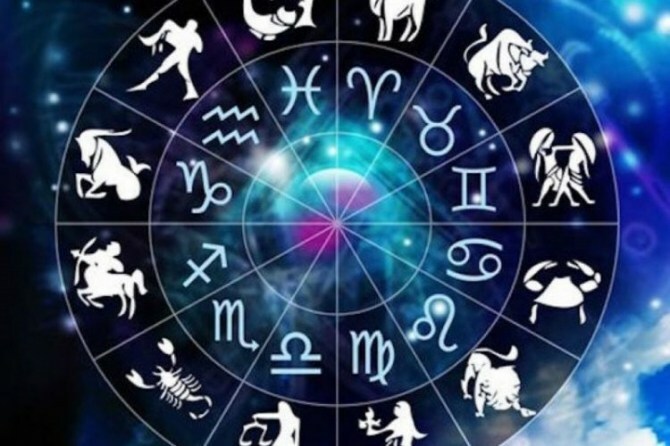 The transition to Taurus will lead us to unpredictable changes in financial matters, and if we go through which area, our astrology map will have a big change in that area. In the days ahead, you can also read Uranus article on our website. Now let’s take a look at the horoscopes. Your past unconscious issues may come up. In this period, it is best to find solutions that will make it easier for you to sleep. And Mercury will remind you that it’s time to solve your unresolved issues. You should avoid new formation and risks until the end of the month. You are not in the process of making important decisions. Of course, if these decisions are not on your agenda for too long, they will not be efficient for you. There may be disturbances in your sleep pattern. In this process, it may be good for you to turn to subconscious issues. You are in a process of being deceived in your friends and social environment. You can hear the hidden issues from the past. There are changes in your financial resources. You can communicate with friends you haven’t seen in a long time. The plans you have made in the past, the programs can occupy your agenda again. You may be mistaken in your decisions in late March. It is useful to not make new decisions in this period. Movements in your business can make your agenda very busy. The inner restlessness process and the desire for internal change begin to awaken well. In fact you are now entering the process of changing yourself. As you complete the evolution of a butterfly in its own cocoon, you are completing your own evolution. This process can push you into impatience. • You may have a long-term activity in business. There may be seminars about your education life, a process that you will be directed to this area is now on your doorstep. Don’t frighten you with the process of change, let yourself in the arms of the universe. Believe that the best plan for you is the divine system you already wrote. The less resistance the easier the transportation to the destination. The past issues, problems or developments (promotion) in your career are on your agenda this month. It’s time to take a look at your vision and perspective! Yes, in this period, you may encounter opportunities to change your perspective. Please choose to see them. Significant changes in your circle of friends. Do not resist change. Your social environment, your groups, your circle of friends are changing. There may be program changes on long roads and overseas trips. Delays in new programs may come up in advance, but are blocked. You can get financial support from women. Maybe it’s the people you work with. Those who wish to receive news about the baby for a long time can receive good news this month. The fundamental changes in your business life are now at your doorstep. Probably the sector can start to change the section. You can see support for women and spouses in your bilateral relationships. This month your relationship will support you. The financial support you’ve been waiting for a while can comfort you this month. It will be a relief for you to come back to the agenda if you have never completed unfinished topics or projects related to your marriage, bilateral relations or your partners. But here, Mercury’s backward movement will warn you that it is not a repetition of the issues it has done in the past. Please observe the instructions. Long roads, overseas, higher education, such as suspended and long-standing issues that have not come on your agenda again. If your past issues come to the fore in your marriage, this is now waiting for a solution this year. But it also seems to bring you the things you’ve planned for a long time. You can return or hear your love of the past. It’s time to mow your crops in your business life. You’ve been sowing seeds for a long time. And now these seeds have grown and harvest time has come. Of course, this will certainly take you elsewhere. It’s probably starting to take action in your inner transformation. Do not resist, if you experience delivery very easily switch. Important developments about love with you! But for new beginnings, we must not forget the backward movement of Mercury. If we do what we always do, it can become our test. Uranus is the time to leave you alone on marriage. Now it’s transforming you into transformation. Now it’s time to change your priorities. A period of finishing work that you’ve stalled for a long time. There may be some problems in your daily routine. You can also contact your relatives you haven’t met in a while. Yes, Uranus marriage is in your home! No more unpredictable situations. If you expect, you can get married, if you are married, you may have problems in your marriage. From now on, everything in this area will advance in your life unforeseen. If you happen to be delivered to him what is coming is not difficult. Geçmiş aşkınız geri gelebilir. Ve bekarsanız bu iş artık evliliğe gidebilir. Evinizde yenilenmeler ve düzenlemeler yapabilirsiniz. İkili ilişkilerinizde hatırı sayılır değişimler kapınızda. Jupiter is in our horoscope, but I still hear you say you can’t see the effect. Yes, the energy of the upstairs is so strong that I can say that the new year slows down its effects at least. The retrospective of Mercury in Pisces will bring you goodies. Your home appliances may cause distortions or breakage. You may want to organize your home again. New opportunities, agreements, beginnings (especially love) may come to the agenda. But you should know that we are not in the proper process for a new beginning. Recognize, investigate, do R & D thoroughly and bring it to the agenda at the end of the month. Change your daily routine, business conditions with you. Since Saturn came to you in your life already a restriction period began. In fact, it teaches you something important. We will solve this with the future Retrolar. It may not be right to make new decisions on decisions, agreements, siblings, especially on issues involving them. Movements in finance seem to give you a good breath. How long you expect the contract, the deal is now on your doorstep. This will provide you with financial support again. There are important changes in your love life. Nothing’s gonna be the same anymore. Problems related to communication, technology products, delays may occur. Venus will advance your sign this month and can give you both financial and love developments. You are in a series of major changes. You can experience this change with your living space and your roots. The best thing you do here is to leave the control. Home change begins. You can switch from your current location to a very different area. Delayed payments will relax you. It’s also time to pay a little attention to spending on money. (especially for those who buy) You can defo buy or buy at a higher price than usual. Mercury is back in your zodiac sign! This can bring you back to your agenda the things you don’t want to see, what you’re scared of, or the things you fear. Now, if you have any crumbs in the past, clean them and don’t let the same issues happen. Many problems may occur for new issues. But when you wait a long time will come to your feet. Your decision-making, speech and expression are changing. Hidden issues may come to light. The uncertainties you experience in many issues are now moving towards a solution.